VARIETY, April 17, 2018 - Sculptor Media is fully financing and producing, with Circle of Confusion, the dark thriller “Blood” with “Sweet Virgina” helmer Jamie M. Dagg directing. The original screenplay by James Breen was highlighted in the Blood List dark genre and horror annual listing. Sculptor founders Warren Goz and Eric Gold made the announcement Tuesday. The film is about a mysterious young woman named Rose who returns to her hometown years after disappearing to seek reconciliation with her estranged family. In doing so, she threatens her relationship with a caring but manipulative man who harbors dangerous secrets of his own. Sculptor’s Goz and Gold are producing with Circle of Confusion’s Lawrence Mattis and Matt Smith. Chris Armogida will also produce. James Masciello, principal of the private equity firm Raven Capital which provides financing to Sculptor, will executive produce. Gerard DiNardi is the line producer. Sculptor Media has financed “Imperium,” the true story of an FBI agent who goes undercover as a white supremacist, starring Daniel Radcliffe and Toni Collette; and the thriller “Urge,” starring Pierce Brosnan and Ashley Greene. 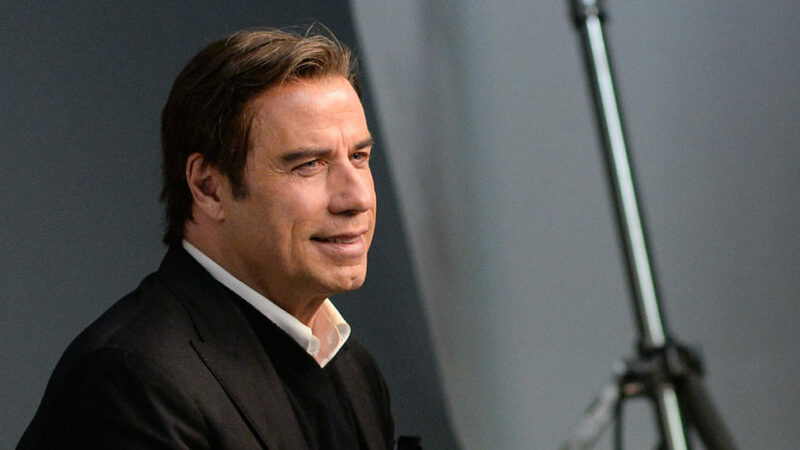 Sculptor Media’s upcoming projects include “Trading Paint,” a racecar action feature starring John Travolta, Michael Madsen, and Shania Twain set for release in the U.S. via Ambi Group on June 1. Dagg’s first feature film “River” premiered at the Toronto International Film Festival in 2015. It earned Dagg a Canadian Screen Award for best first feature film. Dagg’s second feature “Sweet Virginia” premiered at Tribeca to rave reviews and was released by IFC in 2017. Dagg is represented by WME, Grandview, and Cuffe Owens at Felker Toczek Suddleson Abramson. Breen is represented by Gersh, Dobre Films, and Debbie Von Arx. VARIETY, September 7, 2017 - Warren Goz’s Sculptor Media has come on board to finance and executive produce, alongside Ambi Media Group and Paradox Studios, the father/son stock car racing film “Trading Paint,” Variety has learned exclusively. Producers are Ambi dia Group’s Andrea Iervolino and Monika Bacardi, and Paradox Studios’ Silvio Muraglia and Alexandra Klim. Sculptor Media’s Goz and Eric Gold are executive producers. Written by Craig Welch and Gary Gerani, “Trading Paint” revolves around a down and out dirt track racing legend (played by Travolta), who is drawn back into the winners circle after his son (portrayed by Sebastian) joins a competitor’s racing team and incites an intense and dangerous competition between father and son. Ambi Distribution is handling worldwide sales. Principal photography is now underway in Alabama. DEADLINE, October 8, 2015 - Toni Collette, Homeland‘s Tracy Letts and Sam Trammell have joined the cast of Daniel Ragussis’ Imperium, the Lionsgate Premiere thriller that stars Daniel Radcliffe. Radcliffe plays an FBI agent who goes undercover and infiltrates a white supremacist group to expose a terrorist plot to create a dirty bomb. While investigating the group, he is faced with the challenges of maintaining his principles while trying not to blow his cover. Collettte will play Angela Zampino, a battle-hardened FBI agent. Letts will take on the role of Dallas Wolf, a modern-day leader of the white supremacy movement. Trammell will play Jerry Conrad, a covertly average father in suburbia who, in actuality, is the local Ayran Youth recruiter. The pic, which marks Ragussis’ feature directorial debut, is based on the experiences of Michael German, a former FBI undercover agent who spent years inside U.S.-based neo-Nazi and militia groups. Ragussis and German co-wrote the script, and filming is set to begin this week in Hopewell, VA.
Atomic Features and Tycor International Film Company’s Ty Walker, Dennis Lee and Simon Taufique are producing with Ragussis. Andrew Mann, Jeff Elliott, Chad Moore, Barry Brooker, and Stan Wertlieb along with Eric Gold and Warren Goz of Sculptor Media are executive producing. Green-Light International is handling foreign sales and brokered the Lionsgate deal. Collettte, the Oscar nominee repped by CAA and Untitled, is next up in Legendary’s Krampus later this year. Letts, also a Pulitzer- and Tony-winning playwright, will next appear in The Big Short, also to be released in December. He is repped by Innovative Artists. Trammell, also with Innovative, previously starred in teen melodrama The Fault In Our Stars. 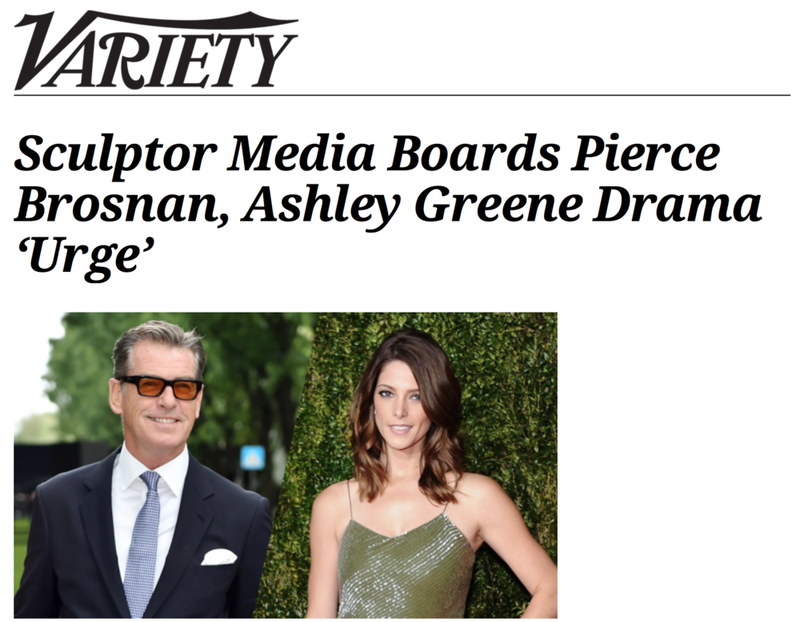 VARIETY, June 9, 2015 - Warren Goz and Eric Gold have formed Sculptor Media, a new company that will finance and produce talent and genre-driven independent film and television projects, it was announced Tuesday. Based in New York City and Los Angeles, the company has been funded by an unnamed New York City based private equity firm that has an exclusive arrangement with Sculptor for single picture film finance. Goz will serve as CEO of Sculptor, while Gold will serve as the company’s LA-based head of development and production.